The Wii U is in a precarious position right now. Technically it's the front-runner in the next-gen console race and has a good lead over its competitors over at Sony and Microsoft, who won't have their consoles out until the holiday season later this year. Yet, despite its lead it still has a problem convincing people that it's a legitimate competitor and a lot of it has to do with lack of software and a limitation on region-free gaming. Recently, NeoGaf had gathered its forces once more to try to shake and move the industry for the better – similar to how various other members at NeoGaf helped to bring Sony a massive victory at E3 using the #PS4NoDRM campaign. According to Barrel Roll Gaming, the petition for getting the Wii U's region locking abolished did not end in success. The article notes that despite NeoGaf gathering enough Nintendonites to support the cause and hitting 10,000 signatures on Change.org, while simultaneously using Nintendo's own network to spread positive propaganda on MiiVerse for region-free gaming, it just wasn't enough to sway the Big 'N' from their current course. 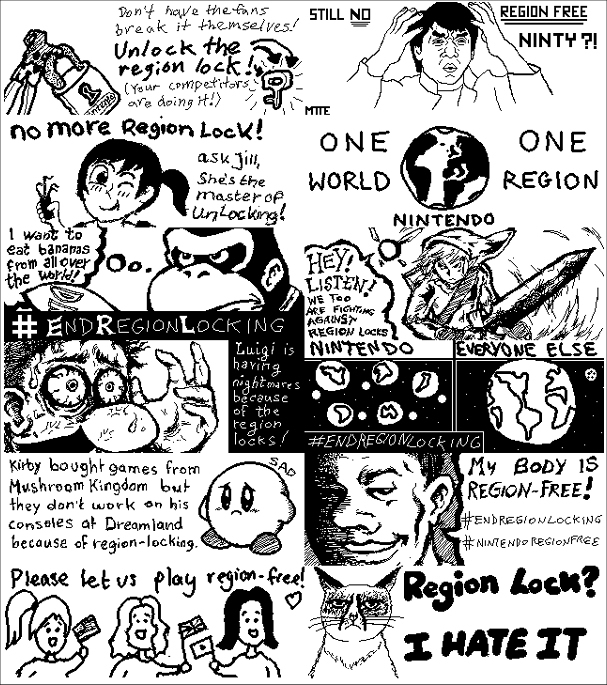 "Nintendo has no plans to remove region locking from our systems. By taking this approach, Nintendo is able to include parental controls and ensure compliance with regional standards and rating systems." Well, that sort of makes sense. I still don't understand why they can't include an OS update to include a more strict parental control system specified to any game outside the original region. I mean, if Sony can do it with the PS4 why can't Nintendo do it with the Wii U? Anyway, this console-function misstep may or may not play a role in how the Wii U grows its core audience. With gamers capable of importing and playing region-specific titles on the PS4 it could further sway gamers in their purchasing decision between the two consoles. Then again, the original Wii was region free and maybe with a bit more prodding Nintendo will make the change. It wasn't too long ago that Microsoft was steadfast in keeping the Xbox One region locked until the outcry from the public (and those oh-so-public pre-order sales) had Microsoft spinning the Xbox One into the Xbox 180 faster than Bob Bashara could hire another hitman to kill the hitman he hired to kill his wife. I wonder if NeoGeof will realign, reconvene and try again or if they will rest on their laurels and see what happens?